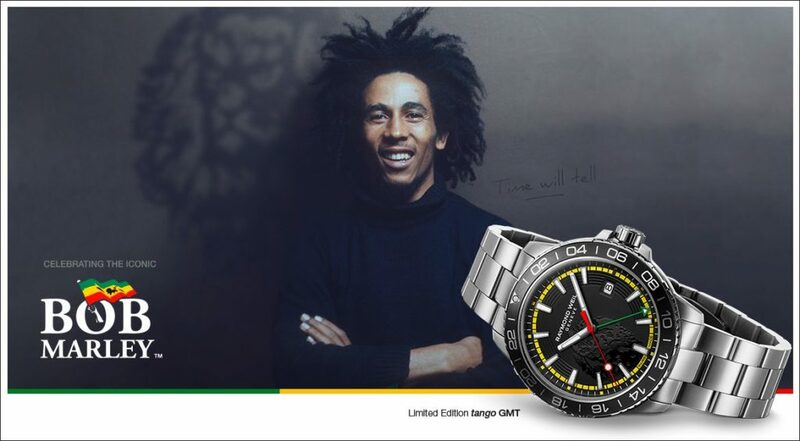 The black dial is decorated with the iconic lion head that every Bob Marley fan will recognize. With a colour palette inspired by the Ethiopian flag, this exclusive watch features sapphire crystal with a red second hand, green GMT hand and yellow circumference circle. 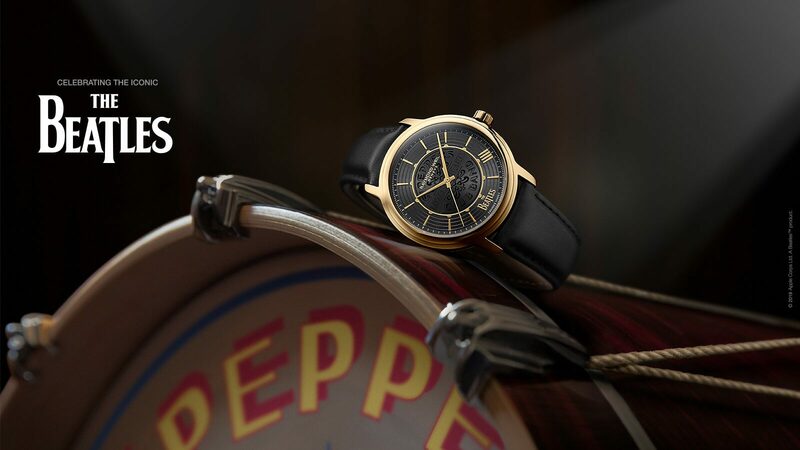 The numbered case back is engraved with Bob Marley’s signature and the famous “TIME WILL TELL” mention in reference to successful title from Kaya Album. 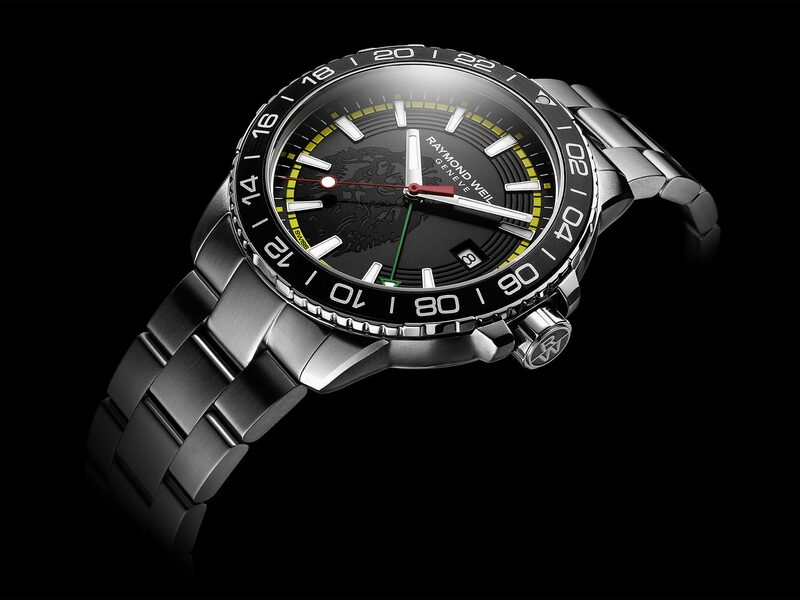 Housed in a 42mm polished steel case with a GMT function, the timepiece is finished by an aluminum black and grey anodized bezel. 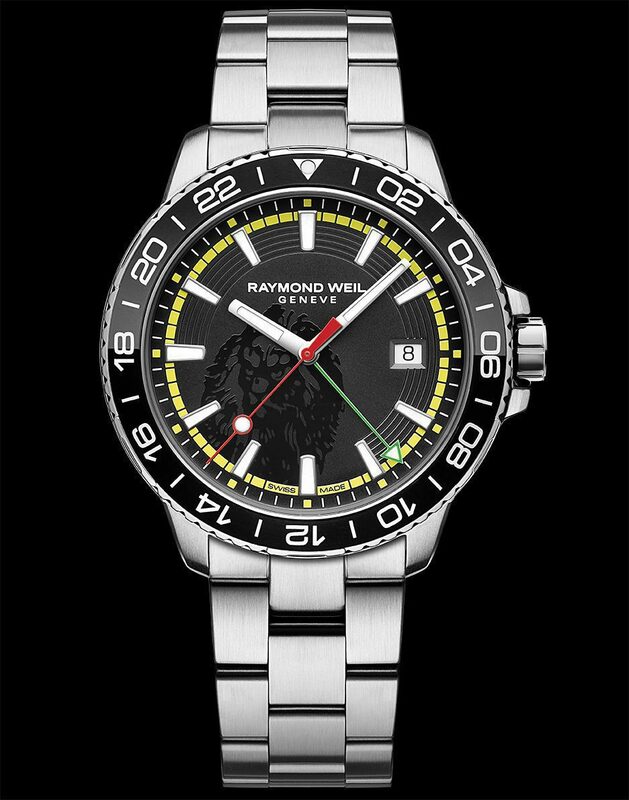 As well as a stunning appearance, the tango GMT Bob Marley stands up to the strength of the main RAYMOND WEIL tango collection and is water resistant up to 300 meters. With a stainless steel bracelet, completed with double pusher security clasp, this Limited Edition is a must-have item for any Marley fan. 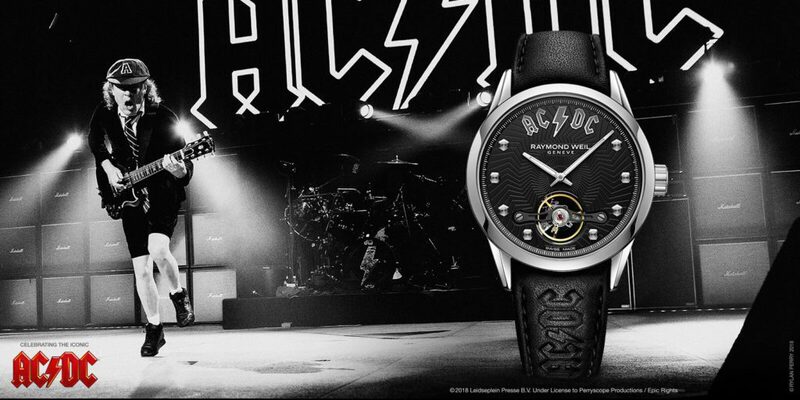 “We are honored to work with RAYMOND WEIL on the creation of this timepiece that celebrates our father’s legacy and recognizes the artistic contribution of so many great musicians in this unique way,” says Cedella Marley, daughter of Bob Marley.